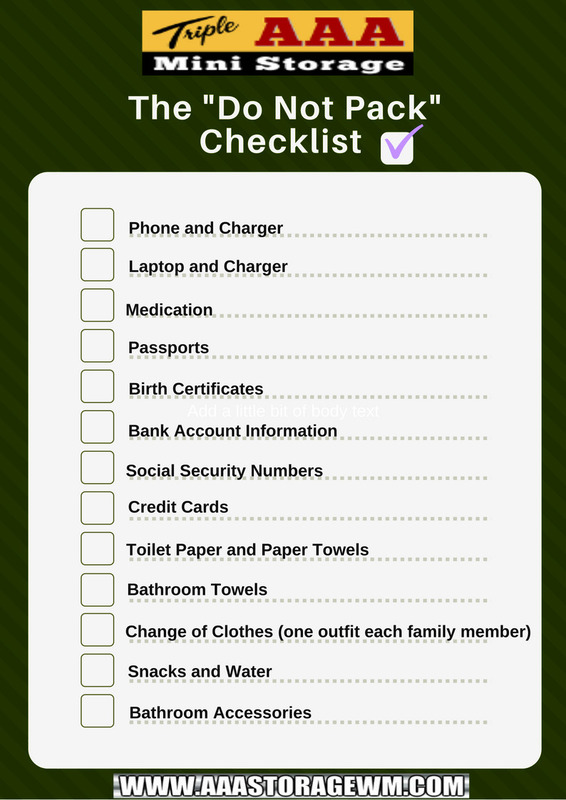 This “Do Not Pack”checklist will eliminate the hassle of having to rummage through packed boxes to find the daily items you will need in the first few days before everything is unpacked. Your night box should travel with you and loaded up last, so you will have what you need, where you can easily get to it. To download simply right click the image.